In the beginning of the 1990’s, the Peruvian government wanted to privatize the government owned companies into private companies. As a result, Antamina, which is a rich in poly-metallic ore deposit located 482 kilometers north of Lima, Peru was part of the privatization. Companies that wanted to bid for the Antamina mine was not sure about the reserves capacity it had, what amount of reserves it had and in what quality. To analyze the ore quality and quantity, companies would take two years, which would cost approximately $24 million and would give the precise estimates for the quantity of reserves and quality of these reserves. In order to privatize this natural resource site, government auctions it in public and set some rules on the bidding. Bidders have to propose the initial payment, which is the minimum requirement to enter into this auction of Ore mine. The minimum initial payment was $17.5 million along with $24 million to conduct the feasibility study. 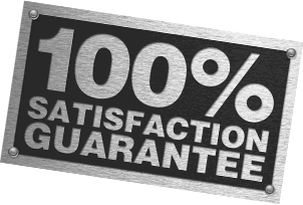 It also includes the initial investment commitment, which can make the exercise price as it also incorporates the real option. The winner of this auction will get two years to explore the mine site before going towards the decision for developing the site or leaving this project. Only three competitors remained in the bidding process, which include: Noranda, a joint venture between Inmet Mining and Rio Alogom and RTZ-CRA. The case represents the perspective of the RTZ-CRA for determining the actual worth of the mine and what the company can earn by investing into it. The analysis has been done by considering the following elements. 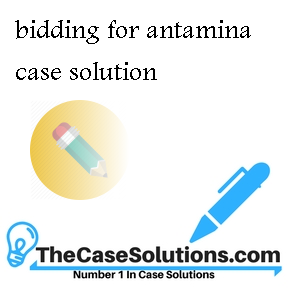 In order to acquire the bid for the Antamina Mines, only three competitors were there in the auction process. These three competitors were the biggest market shareholders in the natural resource exploration and extraction business. Noranda was located in Toronto and employed 31,000 people with the product line of mining, smelting, refining and marketing of the copper, zinc, nickel lead silver and gold. It also marketed aluminum products and produced with the additional product line in the industry of oil and gas. It also produces lumber, pulp and paper. It has produced 364,000 tons of zinc, 483,000 tons of copper and 84,000 tons of nickel. This made them the leading company for this bidding process and gave them an advantage. It had the market capitalization of more than $4 billion and pronounced as 10th largest mining company in the world. Inmet was also located in Toronto with operations in mining located in different parts of the world such as North America, Europe, North Africa, Turkey and Australia. Inmet was the conglomerate of the German based metal producing company Metallgesellschaft AG. This gave the Inmet, an upper hand in the investing into this project as it could generate investment from its parent company. This company was also located in the Toronto City and had operations in mining and metal industry. Company produced 197,000 tons of copper. Its other product line included uranium and coal. It had 50,000 employees. This firm did not possess any competitive advantage regarding this particular mining site as compared to these three companies and they don’t have any differential in fund raising approach for this particular project. The Ore mining industry is a very expensive industry for new entrants because it requires the initial cost as millions of dollars are required to make the feasibility report for the development and exploration of mining sites. The initial start up cost is too high, which creates a barrier for the new entrants. The threat of substitute product does not exist in this industry as it is based on the digging and mining of sites for natural resources available in a particular area or belt. More reserves in an area will create more value; however, there is no choice of substitute. Buying power of buyers is not effective in this industry as the mining cost and exploration cost is high; as a result, companies are charging prices according to their will. Suppliers of this industry are the equipment manufacturer and they supply the machinery that is used in this industry for digging the sites. These equipments and machinery are expensive and they are made especially for the purpose of exploration. Suppliers are charging more for this as companies have no other substitute products for exploration. Thus, suppliers have bargaining power in their hands.